The Acer Spin 1 might be priced like a budget laptop, but it hardly feels like one with an all metal build and Full HD screen. It’s just a shame it doesn’t pack more power. 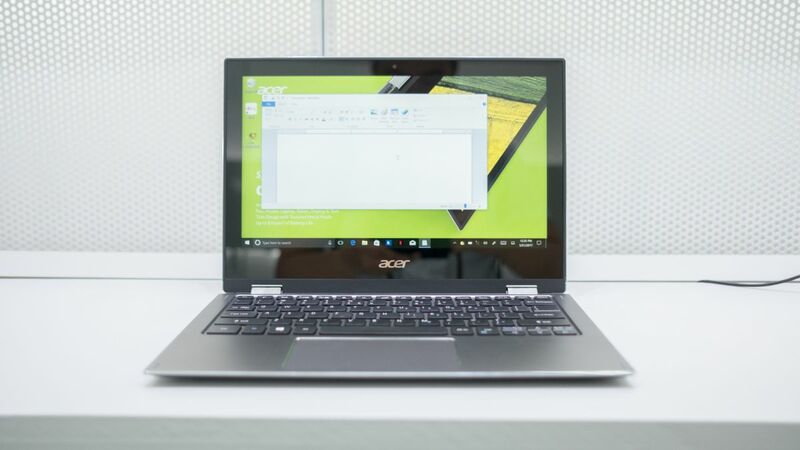 Acer has always been one to bring us surprisingly well equipped laptops at affordable prices and the Acer Spin 1 is one of the best examples of this. The 11-inch 2-in-1 laptop has an incredibly low $329 (about £260, AU$440) starting price with a Full-HD display and an all metal chassis. Most budget laptops are made with a plastic shell and a 1,024 x 768 resolution screen that just barely meets the requirements for being considered high-definition. The only thing that might hold you back from picking up this laptop immediately is the fact that the available processor options are limited to Intel Celeron and Pentium chips. 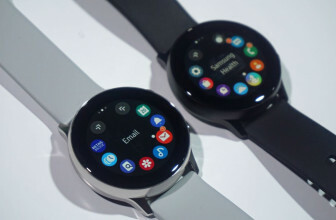 Despite its incredibly low starting price, the Acer Spin 1 feels hardly like a budget device. 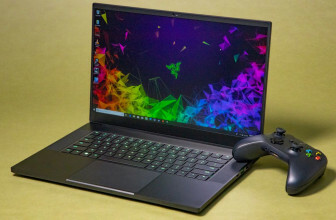 Instead its build quality feels on the same level as some Ultrabooks. The laptop’s brushed aluminum screen lid makes a great impression with an interlaced pattern that looks like weaved fabric. Unfortunately, the interior of the hybrid isn’t nearly as interesting and sticks to the basics. 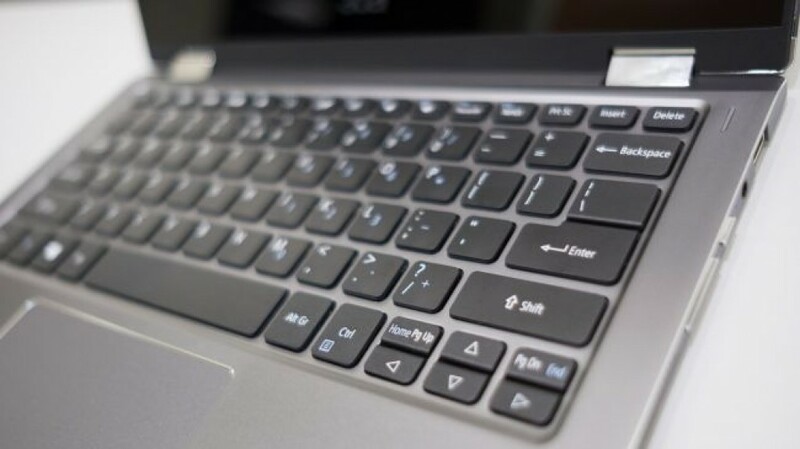 The keyboard follows the standard layout (which is a good thing) and offers a decently tactile typing experience that’ll be good enough for surfing the web and typing up emails. In another surprise, though, the Spin 1 comes with a Microsoft Precision touchpad that’s rarely seen on devices except for premium Ultrabooks or Microsoft’s own Surface line. 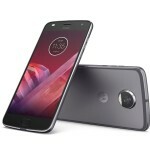 Its all-metal chassis feels completely solid and yet is relatively light and thin at 2.76 pounds (1.25kg) and 0.55-inches thick (1.4cm). 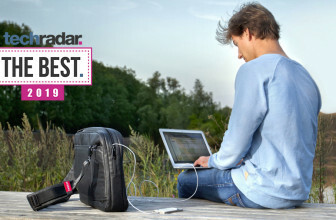 The compact form factor also means it isn’t unwieldy or tiring when you have the 2-in-1 device in tablet-mode. The only things we don’t like about the Acer Spin 1’s design are the large, thicker-than-one-inch bezels around the screen. The chromed edge of the screen lid also looks a little chintzy, like it was made out of aluminum foil and actually makes it hard to read the word Spin, which has been stamped onto the surface. 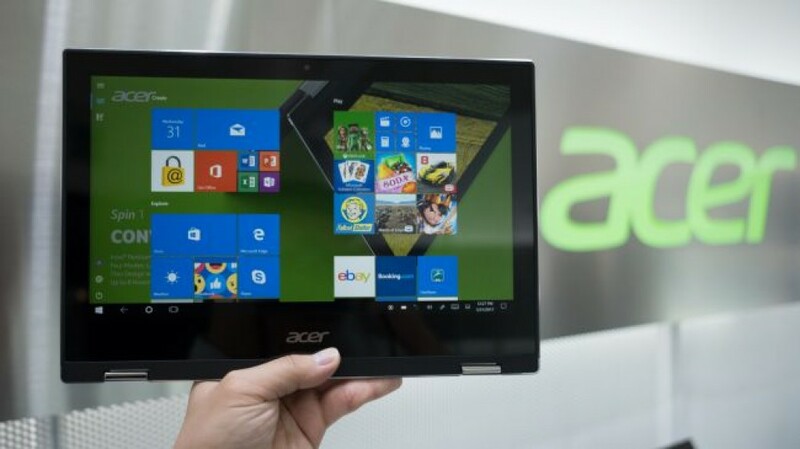 The Acer Spin 1’s other biggest highlight is the 11.6-inch Full HD display that looks absolutely immaculate. Not only does the 1920 x 1080 resolution look incredibly sharp at this screen size, Acer went with an IPS panel that displays vibrant colors and offers wide-viewing angles up to 178-degrees. 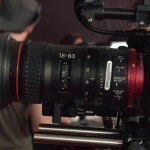 Unfortunately, the rest of the Spin 1’s spec sheet isn’t as impressive. You’ll only be able to choose between Intel Celeron and Pentium processors – the exact models of which Acer has yet to announce. Memory tops out at just 4GB and the only storage options are 32, 64 and 128 gigabytes of eMMC storage. 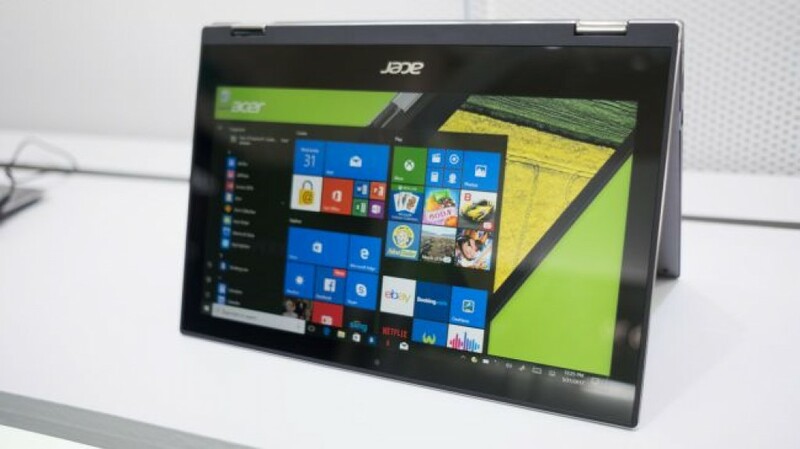 Going by the specs, the Acer Spin 1 seems like it ought to be a Windows 10 Cloudbook or come running Windows 10 S, but it gets a full fat version of Windows 10. However, with the limited hardware we don’t really see ourselves have fun with running strenuous programs on this convertible. At the very least, these power sipping processors should have enough grit to stream 1080p videos and keep up with basic web browsing. 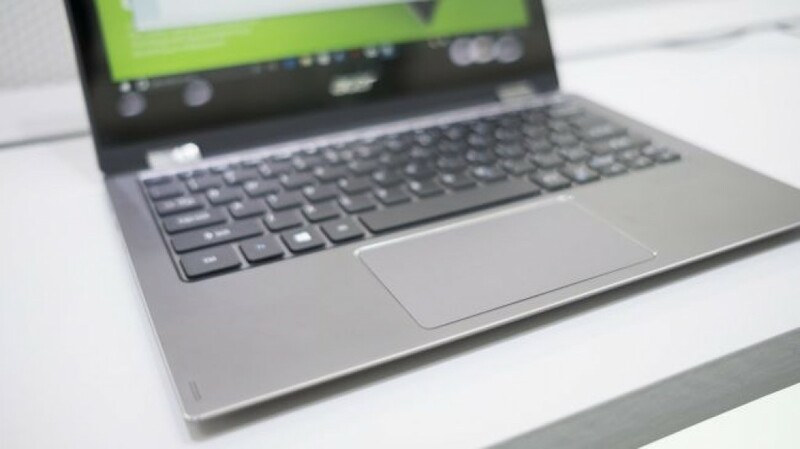 Acer also rates the Spin 1 for eight hours of battery life, a claim we could see happening, but will have to put to the test in our full review. 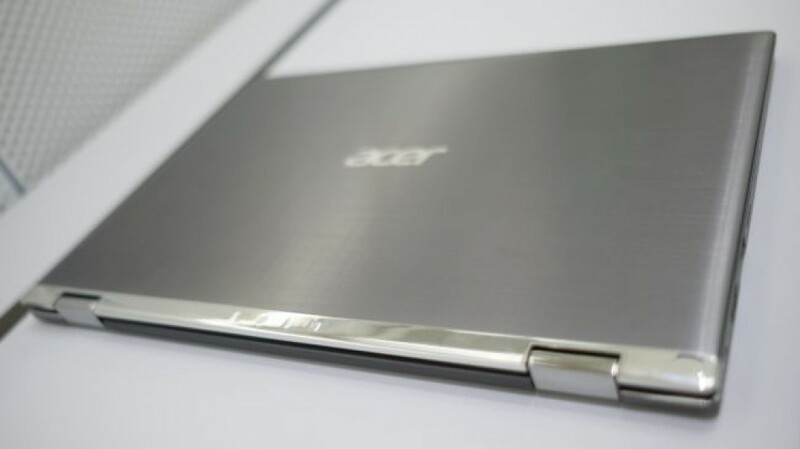 The Acer Spin 1 is the perfect example of a loveable budget product. It’s incredibly well priced, built and equipped. The low-end processor and limited storage options are a disappointment, but Acer isn’t aiming this device at the high-end user. Instead we can absolutely see ourselves tossing this convertible laptop around the house for some simple movie watching or sending off a quick email.